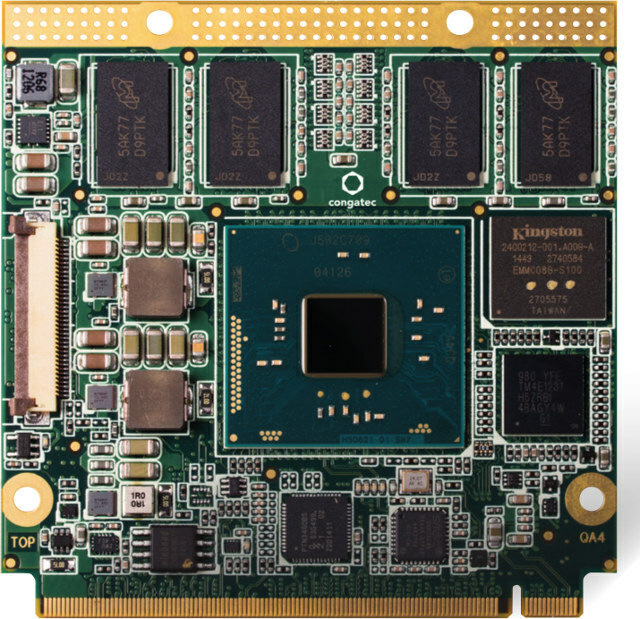 Following Intel’s announcement of their new Atom x5-E8000 quad core processor with 5W TDP/4W SDP and 7-year availability earlier today, Congatec published a press release for four new platforms based on the processor with conga-QA4 Qseven module, conga-MA4 COM Express Mini & conga-TCA4 COM Express Compact modules, as well as conga-IA4 industrial-grade Thin Mini-ITX board. 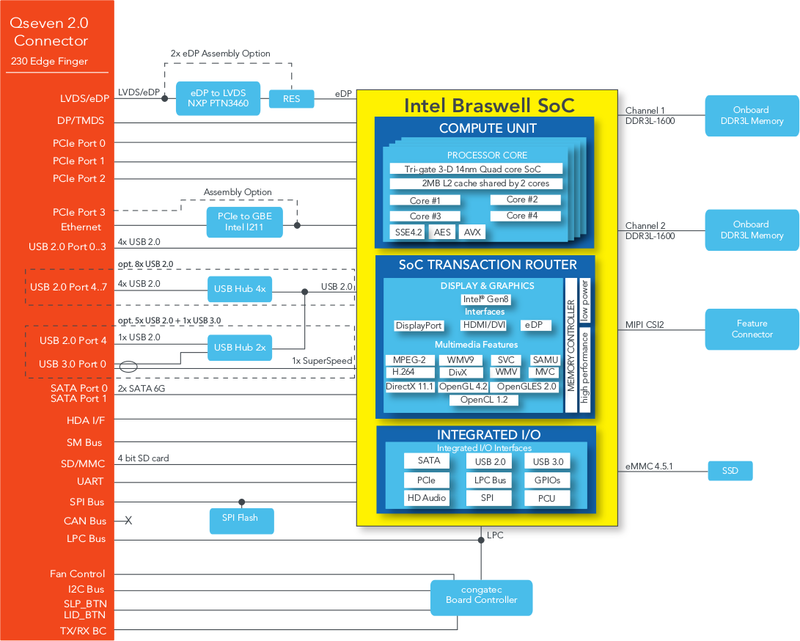 SoC – Intel Atom x5-E8000 quad core “Braswell” processor @ 1.04 GHz / 2.00 GHz (Burst) with 2MB L2 cache, and Intel HD Gen8 graphics @ 320 MHz; 5 W TDP. The module is said to support Windows 7, Windows 8, Windows 8 Embedded, Windows Embedded Compact 7, and Microsoft Windows 10. There’s also some Linux with tools, and a Yocto 1.8 Project BSP. With the name “x5-E8000”, you might have thought it shared of the features with “x5-Z8300” processor plus options specific to the embedded space such as long term support, but a comparison on Intel website shows its features are closer to other Braswell processors such as Intel Celeron N3150 with more PCIe, display, and USB interfaces, as well as support for up to 8GB RAM. Congatec modules and mini-ITX board availability and pricing with the latest Atom Braswell processor have not been disclosed. You can visit Congatec products page to find out more about their latest solutions.